Happy first day of Autumn! I love this time of year and the change of season that is happening these days. This week I took a look at the jersey quilt I am making for my nephew and decided the quilt top wasn’t quite large enough for this very tall guy. I added 3 1/2 inch borders to all sides to enlarge it. There were some smaller emblems that had been on the sleeves of a few jerseys and it seemed like a good place to use them. On the other two corners I used these bear paw prints. 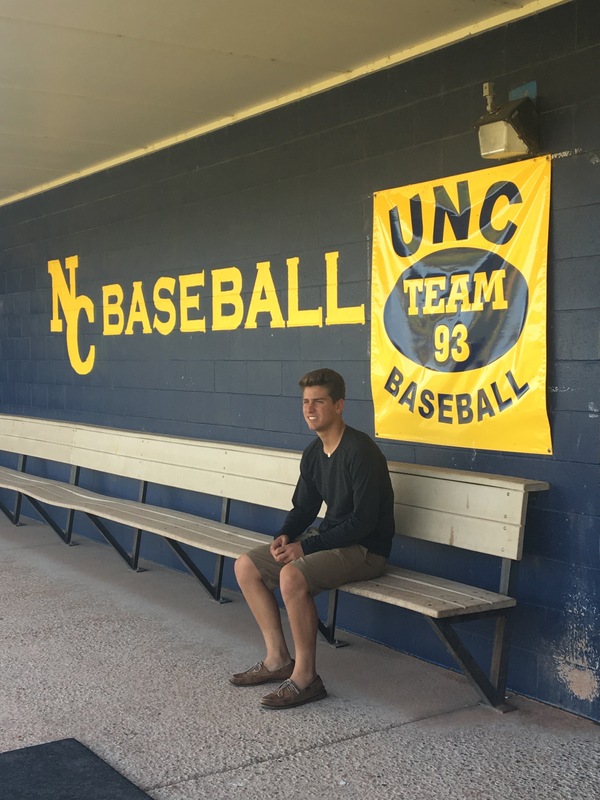 His high school mascot was the Bruins. This one is a funny coincidence because the high school mascot for my boys here in California, several states away, was also the Bruins. Now the quilt top measures about 56″ by 76″ which will be a bit better for this guy. Besides adding to the quilt top, I also pieced the backing. Wanting to use up a few more jersey logos, I made a strip with the last three. The strip was the inserted into a piece of the light gray polka-dotted wide back that I used for piecing the front. I am hoping to reserve some time on a long arm machine next week so I can quilt this. It will present a few challenges. 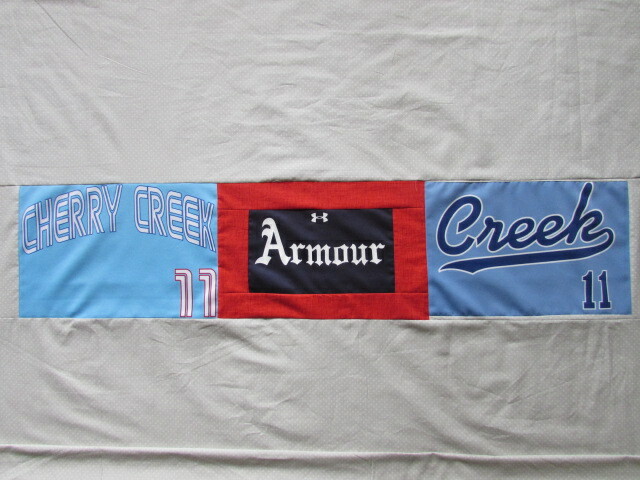 One is the difference between the jersey blocks and the cotton pieces. There is some wave to it. Also, this is the first time I will have a pieced back on the frame. I need to make sure it is loaded nice and straight so it doesn’t come out slanted when it is quilted together. I am sure Kendra, the assistant at the shop, will help me with this. Finally, I need to better understand the order of things when quilting a project on a long arm. Once loaded on the frame, I want to do a simple all over pattern on the body of the quilt and then quilt something different on the borders. Do I do the center first and then roll it back to the top and do the borders? That seems cumbersome but I am not sure how else to do this without tons of stops and starts on the borders? I would love to hear hear how you handle this. Actually, I could easily quilt the main part and then do the borders at home on my machine. Options, options. Leave a comment if you have input on this–there is always something to learn. 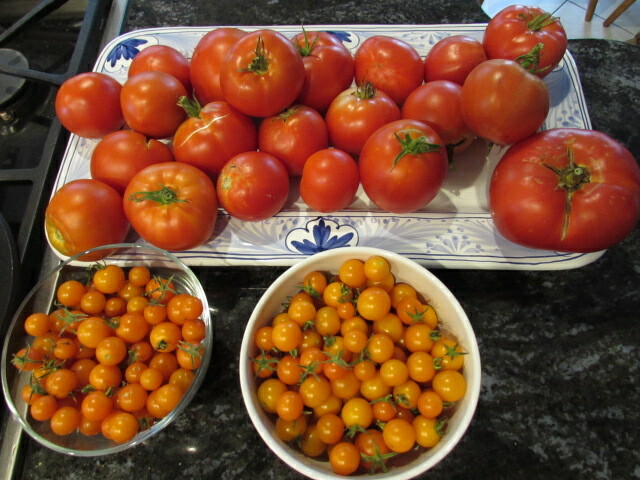 I also spent time in the kitchen using up the bounty of tomatoes we are picking in the garden right now. I posted on Instagram that I have been making tomato jam. I thought I would publish a link to the recipe I use from the Use Real Butter website. (Don’t you love that blog name?) I have been making this for several years now. It is a great mix of sweet and tangy that is great on burgers as well as spread with Brie on slices of baguette. The combination of tomatoes, sugar, tart green apple, onion, and vinegar is really yummy. When I made this batch I reduced the sugar by 1/4 cup and didn’t notice any difference. It is always good to be conservative with sugar if possible. 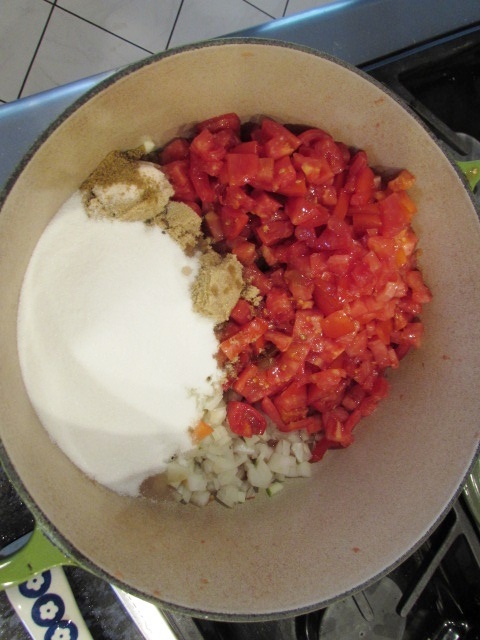 Once it is all mixed up, I just let it simmer without a lid on the pot for a couple of hours. 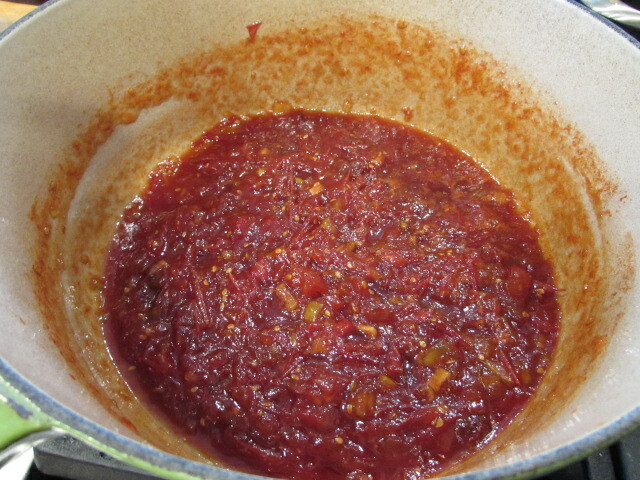 The pot needs to be watched and stirred often or the bottom will scorch. (n one batch I got sucked into blog reading and burnt the bottom. It wasn’t a total loss because I could just skim the top off and keep that. Luckily it didn’t taste scorched. But the yield was certainly smaller. Once it cooks down, it can be canned in jars and processed in a water bath. Or, do as I did, and put it is small containers, label them, and freeze it. Much simpler! Today is the last day to enter the giveaway for a 26 piece bundle of Island Batik. Click here to enter. Hope you all have something fun planned for the weekend. My cousin is out here visiting (from Louisiana) and I am looking forward to spending time with her. Happy Friday!! This entry was posted in Long Arm Quilting, Recipes, Tshirt quilt and tagged jersey quilt, tomato jam, Tshirt quilt on September 22, 2017 by Bernie. 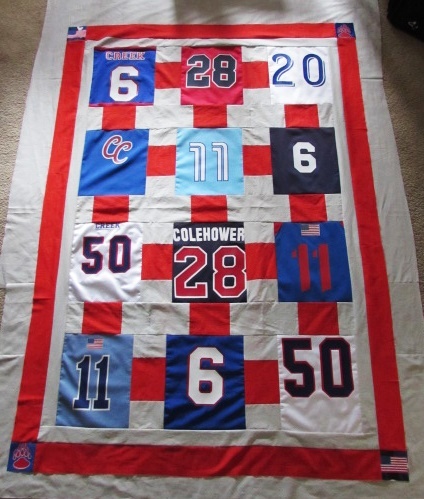 This is the coolest jersey quilt I’ve seen. I love the little flags in he corners! What a treasure! Well, thank you! It has been a fun one to work on and I am really looking forward to quilting it next week. I was able to get an appt on the machine for Thursday. Yippee! This is going to look great all quilted, Bernie! I like the back, too. 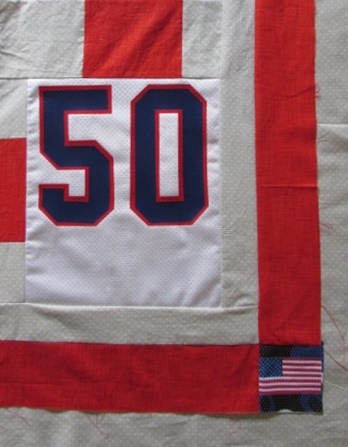 Pieced backs are really popular and I bet your quilting mentor will know just how to help you. Have a wonderful weekend! Love the layout of this! I have a tee shirt order coming up & I will be thinking of a more interesting layout than just rows of blocks like I’ve done in the past. I’m definitely going to try out that tomato jam – it looks delicious! Oh my gosh. This quilt is so cool. Sam is going to love it!!! Great progress on the jersey quilt! I like how you were able to add in a few smaller details on the top with the cornerstones. Are you going to take this one to the long arm at your local store to quilt? Yes, I am. But I need some advice…. if I want to quilt the border different then the body of the quilt, what order should I do thing in on the long arm? Do I quilt the whole body and go back for the borders? I’m not sure how to proceed with this one. This quilt is looking so fine! I like how you included the extra corner bits on the borders. And you know I’m a fan of pieced backs! Good luck with the quilting. I don’t know a thing about long arming, so I’m no help there, but I’m sure you will get good advice at the shop. I love this quilt! 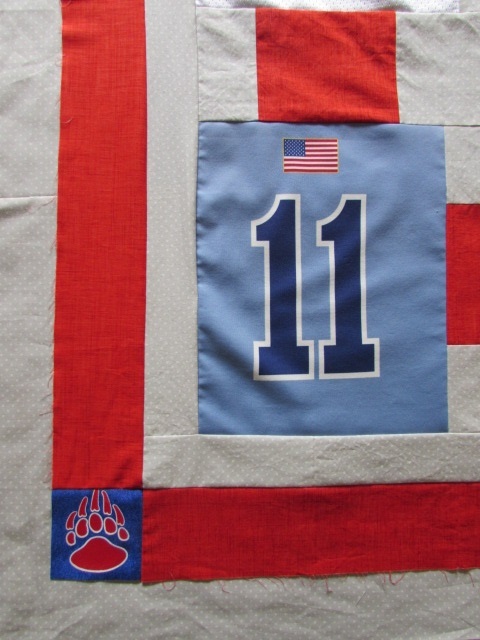 Especially how the red in the sashing pieces sets off the blues from the sports shirts.